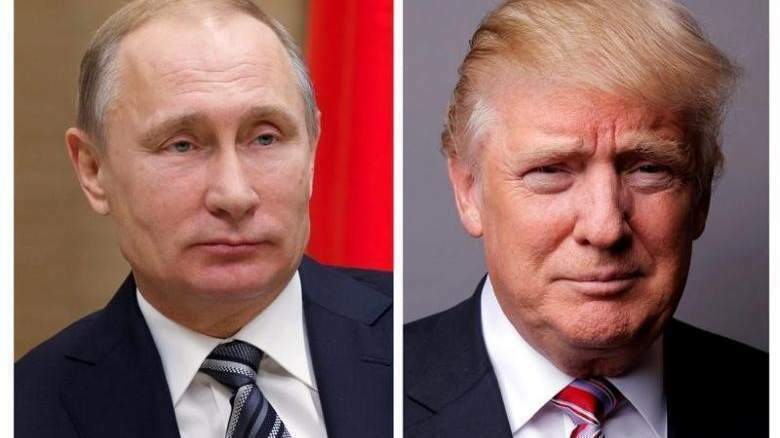 The White House said on Sunday that US President Donald Trump was open to signing legislation toughening sanctions on Russia after Senate and House leaders reached agreement on a bill late last week. Congressional Democrats said on Saturday they had agreed with Republicans on a deal allowing new sanctions targeting Russia, Iran and North Korea in a bill that would limit any potential effort by Trump to try to lift sanctions against Moscow. "We support where the legislation is now and will continue working with the House and Senate to put those tough sanctions in place on Russia until the situation in Ukraine is fully resolved and it certainly isn't right now," White House Press Secretary Sarah Sanders told ABC's "This Week with George Stephanopoulos" program. A White House official said the administration's view of the legislation evolved after changes were made, including the addition of sanctions on North Korea. The official said the administration "supports the direction the bill is headed, but won't weigh in conclusively until there is a final piece of legislation and no more changes are being made." Anthony Scaramucci, Trump's new communications director, said Trump had not yet decided whether he would sign the bill. "My guess is ... that he's going to make that decision shortly," Scaramucci told CNN's "State of the Union." Trump has faced resistance from Republican and Democratic lawmakers for his pledge to pursue warmer relations with Moscow. His administration has been bogged down by investigations of possible ties between his 2016 campaign and Russia. Trump has said his campaign did not collude with Russia. With the bill, Republicans and Democrats are seeking to punish Russia for its 2014 annexation of Crimea from Ukraine and for meddling in the 2016 presidential election. Russian President Vladimir Putin has denied any interference in the U.S. democratic process last year. The House is expected to vote on the sanctions bill on Tuesday. The legislation would require the president to submit to Congress a report on proposed actions that would "significantly alter" US policy toward Russia, including easing sanctions or returning diplomatic properties in Maryland and New York that former President Barack Obama ordered vacated in December. Congress would have at least 30 days to hold hearings and then vote to uphold or reject Trump's proposed changes. If Trump were to veto the bill, he would run the risk of an embarrassing political setback if Congress were to override his veto. In recent weeks, Trump administration officials have met with lawmakers to argue against parts of the Senate version of the bill, including the requirement that Trump obtain Congress' permission before easing sanctions. The sanctions bill, known as the Countering Iran's Destabilizing Activities Act, was passed by the Senate a month ago but held up in the House of Representatives after Republicans proposed including sanctions on North Korea. Lawmakers, including Republican Senator John Thune and Senator Ben Cardin, the top Democrat on the Senate Foreign Relations Committee, said on Sunday the bill had broad bipartisan support. "I think (it) will pass probably overwhelmingly again in the Senate and with a veto-proof majority," Thune, a member of the Republican leadership, told "Fox News Sunday." In Brussels, the European Union has sounded an alarm about the U.S. moves to step up sanctions on Russia, urging Washington to coordinate with its Group of 7 partners. The European Commission, the EU executive, will consider its next steps at a meeting on Wednesday in Brussels if Trump signs the bill into law, and is willing to consider retaliation, according to an EU official. After warning against unilateral US sanctions at the G20 summit in Hamburg, Germany, Commission President Jean-Claude Juncker is concerned Congress' legislation could hit European companies upgrading pipelines in Russia that feed into Ukraine's gas transit system. The measures could also target European companies doing legitimate business with Russia in rail transport, financial, shipping and mining, the EU official said. Any significant EU retaliation would need the support, however, of the EU's 28 governments and would face resistance from members of the bloc, such as Britain and Hungary, that are reluctant to upset the Trump administration.